THEMIS Image of the Day, September 21, 2015. Today’s VIS image shows several windstreaks located on the volcanic flows west of Ceraunius Tholus. 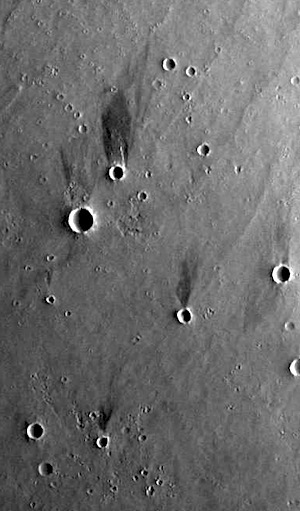 This entry was posted in Reports and tagged Arizona State University, ASU, Ceraunius Fossae, Ceraunius Tholus, Mars Odyssey, NASA, THEMIS, Thermal Emission Imaging System, wind, wind streaks. Bookmark the permalink.